wife Using Sewing fashion bag. Image for booklets, brochures, flyers, websites. Cartoon character. 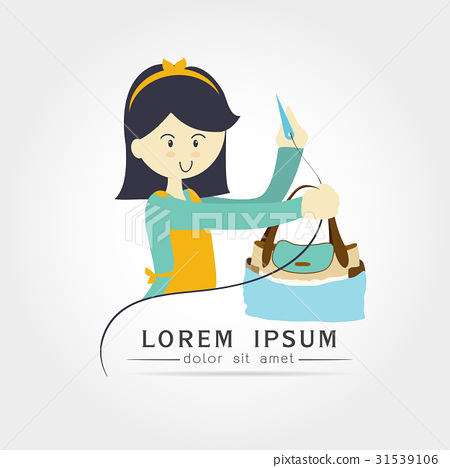 on white background Vector illustration in flat style.